The Australian Heritage Festival is Australia's biggest annual heritage festival. The 2018 Festival's theme is My Culture, My Story, which celebrates the diversity of cultures that have shaped our heritage. The festival is an opportunity to reflect on, (and at) the places where we live, work and play. Why are they special and a distinctive part of our culture? During the festival, we can tell our stories and celebrate our traditions and hear the stories of others. You will experience storytelling, music, food, dance, traditional games, crafts and much more. Join the National Trust in celebrating Australia's cultural heritage, through talks, tours, exhibitions and events across Queensland. Be a part of this nationwide celebration of heritage events in Brisbane. The festival is an opportunity for individuals, communities, local governments and organisations to share the places and events that have shaped us. 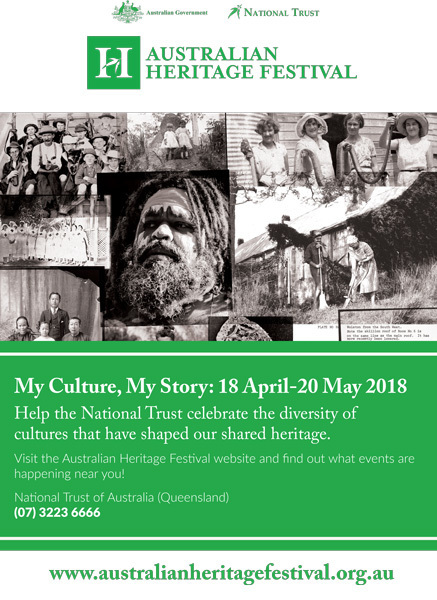 The Australian Heritage Festival is an annual celebration and promotion of Queensland's unique natural and cultural heritage and is part of a joint nationwide project that promotes heritage events across the states and territories. The Heritage Festival started in Queensland in 1983 to nurture and promote heritage related events in Queensland. From April to May 2018, the National Trust invites people to explore their heritage and find out what has shaped Australia. The festival incorporates important dates and events, including National Archaeology Week and International Museums Day (18 May). There are more than 50 individual events, some free, some paid, so you are sure to find lots that suit you and your budget. You can win a free National Trust household membership valid for one year and a $50 voucher. 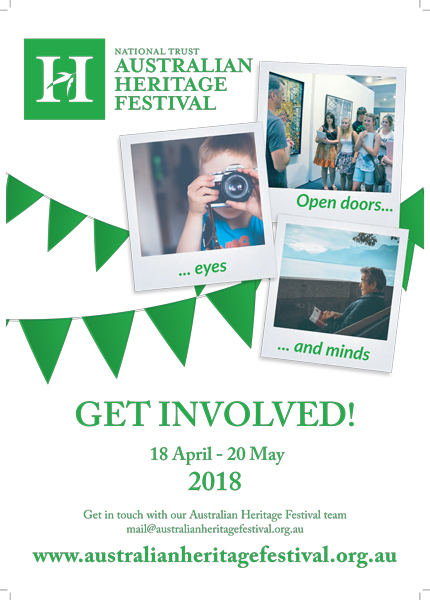 Simply attend an Australian Heritage Festival event and share your images. For terms and conditions, click here. Wolston Farmhouse is very special as it is one of the few places that is owned and run by the National Trust. 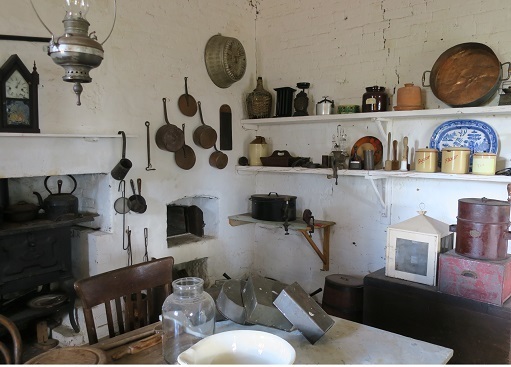 Be guided along the new Wolston Farmhouse My Culture My Story Tour. 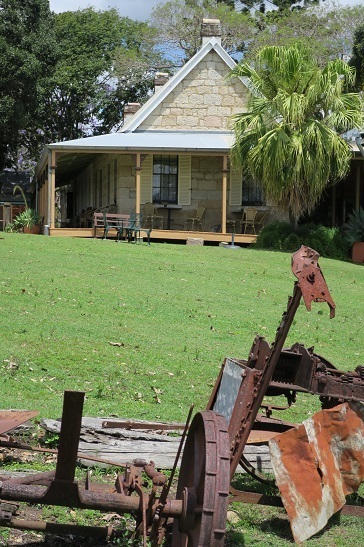 Dating back to the 1850s, this historical site is one of the oldest existing farmhouses in Brisbane. Find out about its history of change on the fringes of the city, at Wacol, from pastoralism to agriculture and dairying and finally to heritage tourism. Two tours will be held during the day and refreshments will be available for sale. Anyone who wants to find out more about volunteering at Wolston Farmhouse are encouraged to visit on this day. This is a great opportunity to get some beautiful photos. 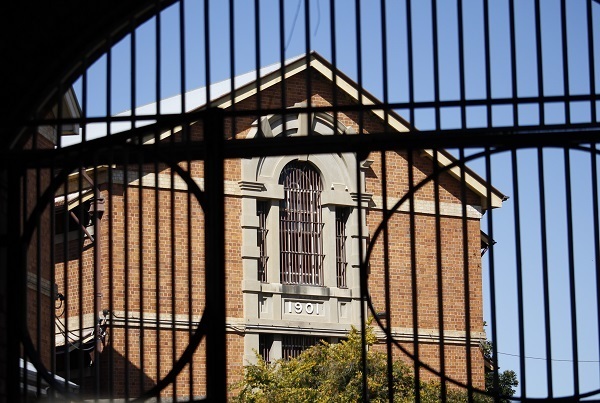 The History of Boggo Road Gaol Tour tells of the dramatic escapes of the 1980s, infamous inmates, lifers, riots, rooftop protests, the daily lives of prisoners and the duties of officers. 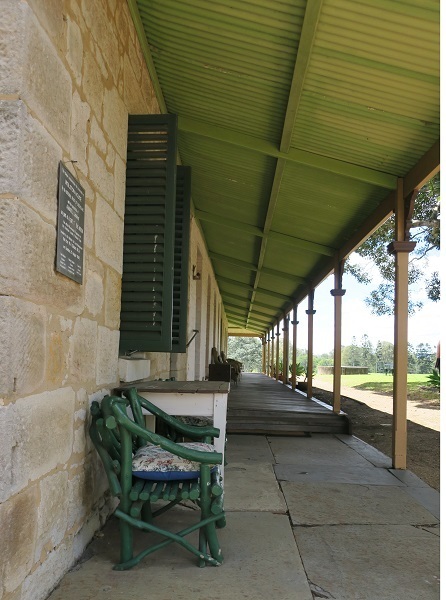 The 1-hour 15-minute tour through heritage-listed Number Two Division with Guide is child-friendly and includes time to explore one of the original cell blocks. 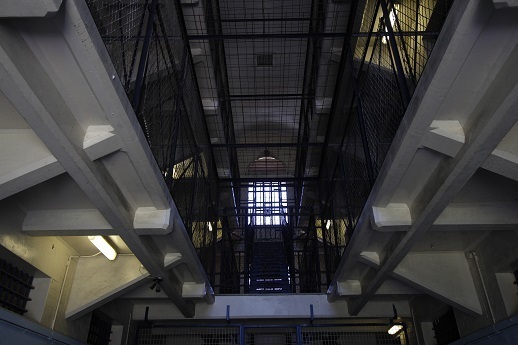 You will also visit the gatehouse, yards, the Circle and the guided tour ends with time to explore F Wing cell block - where prisoners staged a rooftop protest in 1988. You can also see original prisoner cells and authentic 1980s prisoner graffiti. This is one of my favourite tours in Brisbane. Your unusual tour guide is novelist Rosa Praed, a woman ahead of her time. She returns with her quick wit and social commentary, revealing a deeper insight into the experience of local women through Brisbane's HerStory. 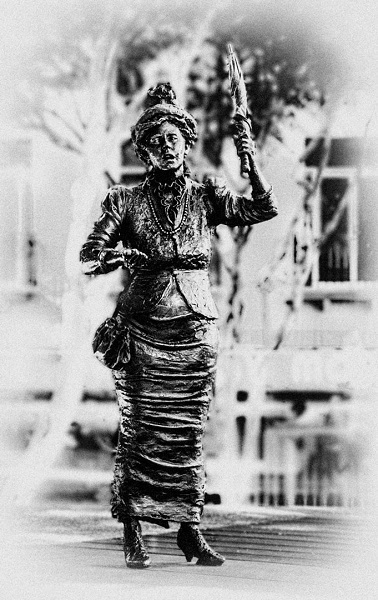 From her perspective, strolling Brisbane together, you will discover many of the extraordinary female characters who have contributed to our city. Learn how challenges were faced and how innovation has been achieved across marriage, science, politics, education, employment, transport, religion, culture and the arts - all will be revealed. Tour meets at the School of the Arts, 166 Ann Street, Brisbane. Make sure you wear comfortable walking shoes and bring along sunscreen, a hat, water bottle and umbrella if necessary (as it will still go ahead even if raining). Super images May and if I lived closer I would so like to go to some of these events. Thanks Nadine. It's a national festival so I'm sure you'll have some great events in Melbourne.